Package of 12 of our smallest Test Tubes, 10 mm x 75 mm (4 ml capacity). Like all our glassware, they are fabricated from top quality heat resistant Borosilicate (Pyrex-type) glass. 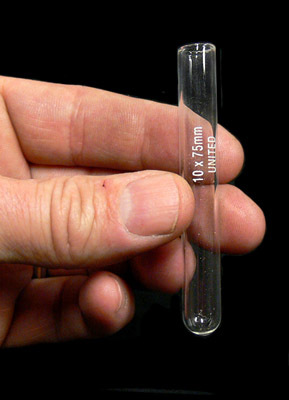 These Test Tubes can be used for applications up to 500°C (930°F). They can withstand higher temperatures and sudden changes in temperature/thermal shocks. These Test Tubes are Perfect for all laboratory uses.